Update, December 28: PUBG’s anti-rubber banding patch is out, and it works. The first major patch for PlayerUnknown’s Battlegrounds since its 1.0 release went out last night, promising a reduction in the rubber banding problems that had been plaguing the game for weeks. It seems to have worked, and the update has also made some other key fixes. Bugs and all, PUBG is still one of the best PC games of 2017. While PUBG Corp say they have much more work to do, this update appears to have done wonders in reducing the problem. Anecdotally, players on Reddit and the official forums both are reporting dramatic reductions in rubber banding, making one of the game’s most persistent issues a far smaller concern. The update also changed the map selection ratio to give an equal chance for either Erangel or Miramar to be selected. Previously it had been weighted toward the desert map, presumably in an effort to give players a closer look at the new stuff and let the developers get more feedback for balance issues. Eventually the developers plan to add an option to for manual map selection. Replays can now only be viewed three minutes after death, preventing downed teammates from immediately scouting enemy locations. And now – at last – bullets can penetrate fences from both sides. 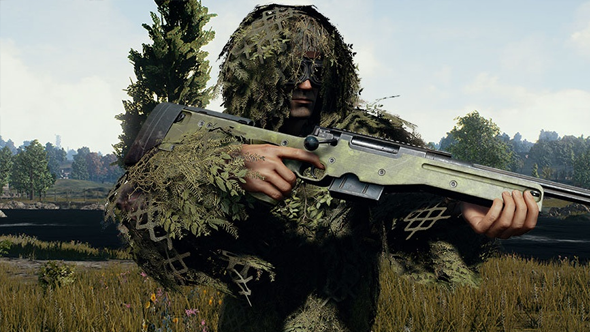 Original story, December 27:In a few hours, PlayerUnknown’s Battlegrounds will be going down for maintenance to “reduce the character position readjustment issue.” That issue, which you might better recognize by the term ‘rubber banding’ has been with the game for ages, but the exponential increase in recent months leading up to the 1.0 release has made it much more significant. This tweet followed up one that’s now been deleted, clarifying that this is a PC patch and apparently changing the wording on the main issue from “fix” to “readjust.” So, you know, adjust your cynicism appropriately. The kinds of rubber banding issues that happen in games like PUBG typically occur because positional data for individual players on the client gets out of sync with what the server sees, so those positions are adjusted for the server and clients to be back in line with each other. So yes, “character position readjustment” is technically a sound name for the issue, even if it’s not the one the community uses. PUBG finally left Early Access a week ago, making for one murderific Christmas present. That launch caused Steam’s bandwidth usage to quadruple when sending out the 1.0 update. It seems the game’s growth has slowed significantly in the past month, but it’s still regularly drawing well over 2.5 million players at a time, which is a level of success that goes well beyond astronomical.